Just a couple of days ago, we reported that Motorola has tapped Samsung for its Exynos series processors. We mentioned that the company is working on two smartphones that will be powered by Samsung’s Exynos 7 Series 9610 processor. Now, we can confirm that one of these handsets will be the Motorola P40, the successor to the last year’s Motorola P30. In addition, we’ve also obtained the spec sheet of the upcoming smartphone. As per the exclusive information obtained by us, the Motorola P40 will be powered by Samsung’s 10nm Exynos 9610 octa-core chipset. The smartphone will be available in as many as three RAM and storage configurations – 3GB + 32GB, 4GB + 64GB, and 4GB + 128GB. The handset will flaunt a 48-megapixel primary camera at the rear, which corroborates with our earlier report in partnership with @OnLeaks. 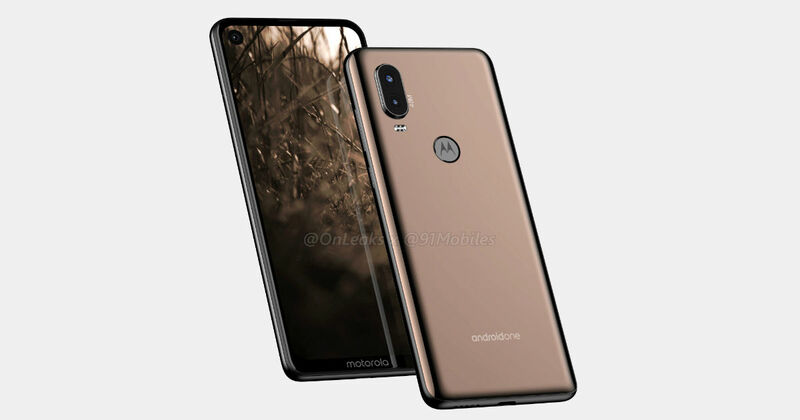 Moving on to the other specs, we can confirm that the Motorola P40 will be opting for the punch-hole display design, which you’ve already seen in our CAD-based 5K renders and 360-degree video of the device earlier. Just like its predecessor, the smartphone will arrive as an Android One offering. Notably, while the P30 doesn’t offer NFC (Near Field Communication), its successor will support this technology. Under the hood, the P40 will be packing a beefy 3,500mAh battery. Lastly, we’ve learned that the handset will at least be available in two colour variants, including Blue and Gold. Unfortunately, there’s no information as to when Motorola is planning to launch the P40 at the moment. Notably, the Motorola P30 was exclusive for the Chinese market. However, its sibling, the P30 Note was launched globally in the form of the Motorola One Power. This suggests that we can look forward to the Motorola P40 to be made available worldwide, including India, under the Motorola One branding.